Puzzled with your Broken iPhone 6 plus? Bring your phone to Mobile Expert, the name you can bank upon when it comes to the segment of mobile and tablet repairs. We are the reliable name in the field of handling all sorts of damages related to your iPhone. Be it a shattered LCD screen, the problem with port or a water problem, the technicians are going to ensure that you have the phone as new as the one you had. With each day we are adding brownie points to our technical skills. 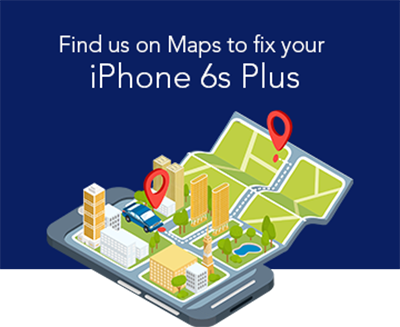 Dealing with the screen repair and replacement of your iPhone 6 plus has come to our speciality. Be it a wholly or partially broken screen or a shattered display; bring us your priced possession, we are going to fix it for you. We make sure that your repair and replacement experience would not be as soothing as it will be with us. We provide a fast and affordable screen repair. We ensure that you get the phone the same day subject to the type of fault. We, as the skilled technicians at Mobile Expert, is not going to let you lose your hope when your iPhone 6 plus has accidentally dropped in the pool of water. We make sure that the phone is repaired by accessing all the faults. In case of the permanent damage caused to any of the internal components of the phone like the motherboard or any such other, we quickly replace and ensure that the phone returns to normal functioning. A battery is the backbone of the phone. As a professional, we make sure that your battery remains functional. If you are facing any of the problems related to power, contact Mobile Expert. We are going to replace your battery with the genuine one.